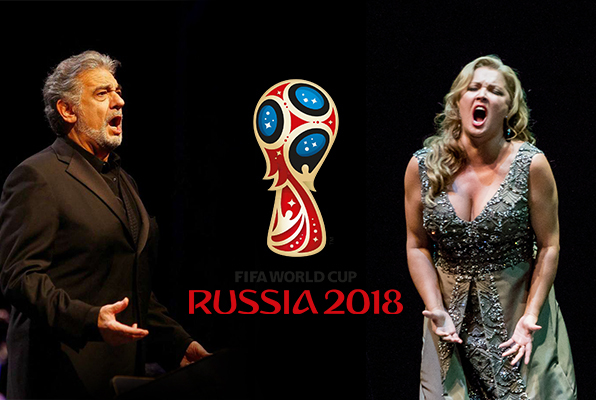 At this year's FIFA World Cup, conductor Valery Gergiev leads the Mariinsky Orchestra in the opening ceremony in Moscow, with performances from international opera stars including Anna Netrebko, Plácido Domingo, Juan Diego Flórez, Yusif Eyvazov, and Ildar Abdrazakov. It’s certainly not the first time that opera is being called upon to provide the soundtrack to bigger-than-life, high stakes moments in spectator sport—which makes perfect sense for an art form that reaches beyond the merely ordinary to display superhuman feats of athleticism and big emotion on the grandest scale. Here are some of our favourite performances in the history of opera as sports soundtrack.